The club AGM has been set for Sunday 4th February 2018 from 4-6pm with a new venue of Brigsley Village Hall. Parking will be limited at the hall so car sharing is advisable, if parking on the street please respect the village and its residents. 2) Attendance-Gary Thomas, Sarah Cook, Alan Cook, Tim Moss, Paul Thompson, Andrew Bullimore, John Armstrong, Tom Sanigar, Hayley Salt, Carl Groves, Dave Rouse, Chris Marshall, Tony Ogden, Karen Hames, Charlie and Alison Boardman, Matt Clarke, Shane Burns, Paul Jackson, Sam Jensen-Martin and Tony Martin, Jonathan Fowler, Shaun Robinson, Clive Thornley. 4) Chairman’s remarks-key points-Gary thanked members for their continued support and loyalty to the club. Successful year in terms of membership-42 current members, duathlons were well supported along with swimming at Havelock pool. Thanks to Alan and Sarah Cook for their support in organising the duathlon events. Gary proposed that Tom Sanigar take over as Chairman. Gary had approached Tom Sanigar before the meeting who agreed in principle to take over the chair/leadership as his enthusiasm and motivation for triathlon would allow the club to flourish. Expenditure-BTA affiliation £105.00, CTC affiliation £50, £187.50 for end of duathlon social buffet at Click’em Inn (paid for by cash taken at duathlon races), £25.00 donated to charities Team George and £30 to Clickem Inn landlord’s charity. 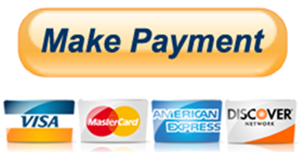 Income-£420 from subscriptions (42 members), £43.90 spare cash from duathlon events. Club agreed to charge £2 per head next year for duathlons and donate £20 to Clickem Inn landlord. 6) Swim Sessions-agreed that swimming will now take place 8-9pm at Havelock pool in conjunction with Cleethorpes Tri Club whose members will take precedent. Grimsby tri will reciprocate by allowing Clee tri members access to duathlon sessions. 7) Duathlon Dates-to be confirmed in new year. Similar 3 weekly format-avoiding Croxby Crawl weeks to increase participation. Agreed to continue with Clickem routes as these are tried and tested. Shaun Robinson agreed to assist Tom Sanigar in setting out the course etc…in 2017. 8) Group training sessions-members are welcome to attend run sessions with Laurie Bland-meet King George stadium 6pm Thursday evenings. Alternatively 6pm Weelsby woods car park 6pm every Friday. Tom Sanigar hosts a speed session from the Cleethorpes slipway every Wednesday. Turbo training sessions open to everyone will commence through the winter Tues and Thursday evenings 6.30pm at the old fire station Cromwell Rd, opposite auditorium. 10) AOB-Karen Hames is organising an off road duathlon social event-date to be confirmed. Karen will organise post Xmas get together sometime in February. Chris Marshall proposed that the club has specific events that should be represented by the club-Tom Sanigar suggested the Steelman event-more details to follow. Gary closed the meeting by applauding the friendly and open nature of the club and wished it every success for the future. Have organised the AGM for this Sunday 18th September at Millfield’s Hotel, Grimsby for 7pm. Will post an agenda later on in the week. Please try to support the meeting as there are a few pressing issues that need to be addressed! and I have a few proposals to suggest. Speed session tomorrow night if any members are interested. Meet at Weelsby Woods car park at 6.30pm. Format will be 10 x 1km with 3 mins recovery. You can opt to do as many reps as you wish and will give you specific interval training for improving your 5 and 10km times by making you more resilient. Hope to see you there tomorrow. I have had a constructive meeting with David Scott and some members of the newly formed Cleethorpes Triathlon club at swimming tonight. The session at Havelock pool is still booked under the name of Grimsby Tri club and can be attended by all members. Although I don’t agree with the formation of a new triathlon club, it is now a reality and we need to work together to allow triathlon in this area to flourish. Please show your support for the swim sessions so that they can continue as attendees are now having to pay £45 for the hour and we will secure this session with a £200 bond. I must stress that the continued success of the club is down to you the members supporting such events. I feel it is timely that we hold our AGM and will propose a date over the next couple of days once a venue can be confirmed. 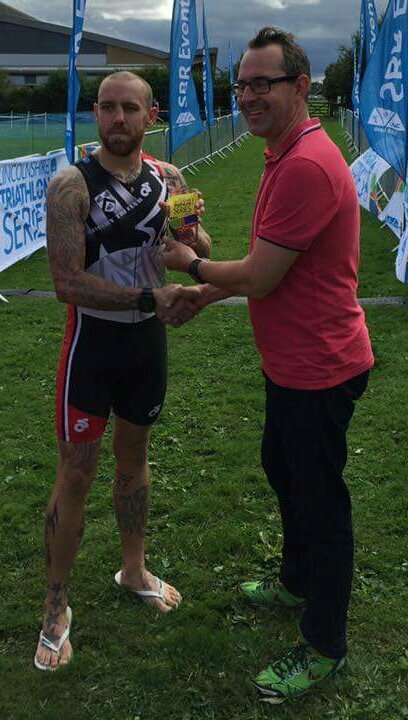 Big well done to Tom Sanigar who won the Louth triathlon yesterday! Many thanks to all the 25 members/participants who turned out for the final duathlon of 2016 and made the event worthwhile. Again thanks to Alison and Charlie Boardman for volunteering to marshal and a big thank-you to Alan Cook for setting out the course not just for last night but for the whole duathlon series and organising the buffet afterwards. Apologies to those newcomers who got lost due to the sign instructing them to turn left towards Wold Newton inadvertently falling down or was it sabotaged! Look forward to seeing some of you at Louth tri this weekend and good luck for the rest of the season! PS apologies if my adding up is wrong!